BW: Please tell us a little bit about your personal background, Rinpoche. 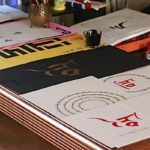 BW: Can you tell us how Bön is distinct and unique from other Tibetan traditions? BW: Can you contrast that with some ways in which Bön has some similar concepts to the other four traditions? BW: What are the Bön beliefs on rebirth and karma? BW: You teach at Gyalshen Institute in California. 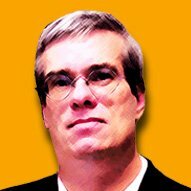 From your 2016 schedule, you also teach around the world? How has Bön been received Internationally? BW: Tell us a little about the Gyalshen Institute, its mission and retreat centre project. BW: What is the relationship of student-teacher in Bön? Is it similar to other Tibetan traditions? BW: Please tell us about your books. Chaphur Rinpoche of the Bon tradition. 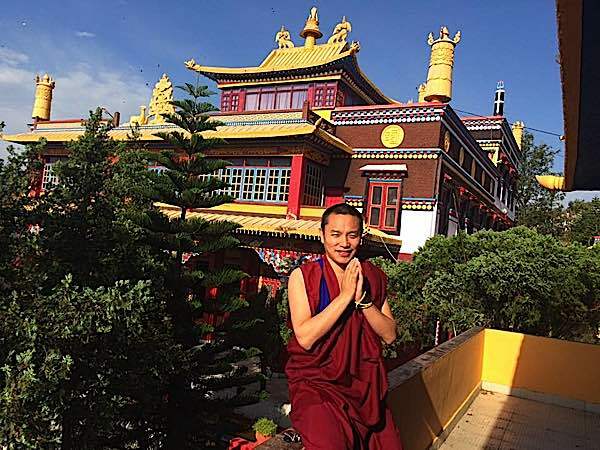 In our first interview with a Bön tradition teacher, the charismatic Geshe Chaphur Rinpoche frankly discusses the ways in which Bon school differs from the other five Schools in Tibet — and how it is also similar in many ways. Practices such as Ngondro, Refuge, and many others are similar. Chaphur Rinpoche is the director of the Gyalshen Institute in the San Francisco Bay Area. 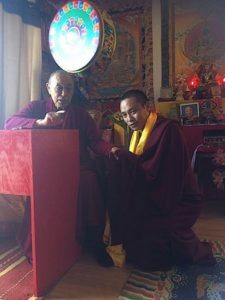 We asked Rinpoche eight interesting questions, everything from practices, to history, to Dzogchen. In his own words, the eminent teacher described the Bon tradition. Bön is recognized historically as one of the six great traditions of Tibet, which include (alphabetically): Bon (Bönpo), Gelugpa, Kyagyu, Jonangpa, Nyingmapa, Sakyapa. Chaphur Rinpoche: I was born in the Chaphur Lama Lineage in the Amdo region of Tibet. When I was nine years old I went to Nangzhig Monastery and became a monk. At the age ten I went to Bongya Monastery in northern Tibet, learned basic Tibetan arts such as calligraphy, poetry and astrology from His Eminence Bongya Rinpoche. When I was very young, H.E. 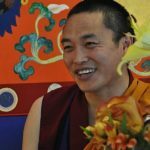 Bongya Rinpoche recognized me as a Bönpo Master. His hope was for me to continue to stay at Bongya Monastery and one day take over the responsibility of running the monastery. However my brother, Chaphur Khunzang Rinpoche, felt if I took over the responsibility of the monastery that I would not have the opportunity to continue my studies. He then sent me to join Menri Monastery in India to continue my studies towards a Geshe degree under His Holiness the 33rd Menri Trizin Rinpoche and H.E. Menri Lopon Rinpoche. 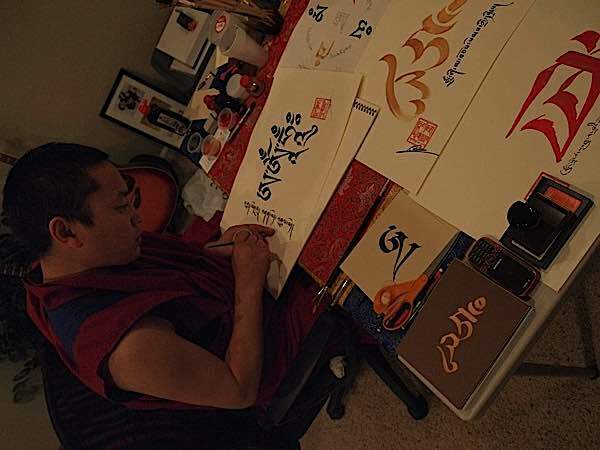 I studied at Menri for around 16 years, graduating with a Geshe degree in 2008. 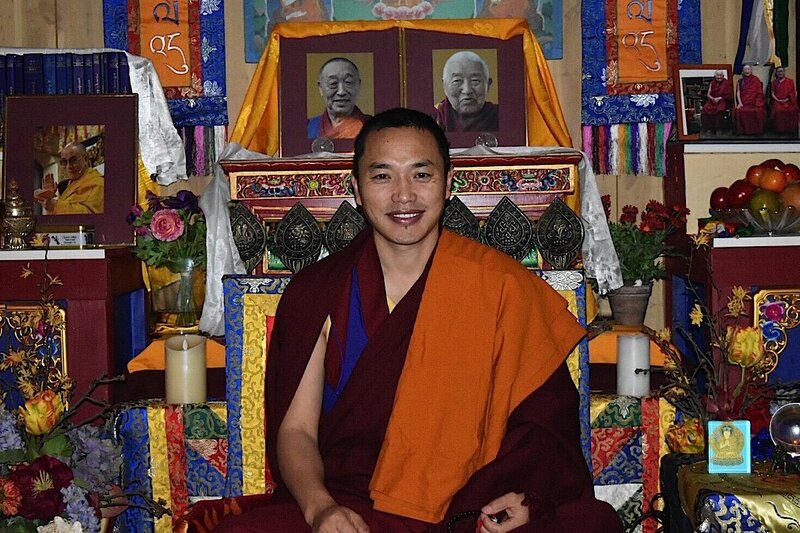 Chaphur Rinpoche graduated with a Geshe degree in 2008. Following my time at Menri, I completed a year of personal meditation and retreat. My teacher Bongya Rinpoche still hoped I would return to Tibet. However, circumstances brought me to the United States in 2010, where I settled and began studying English in the Los Angeles. 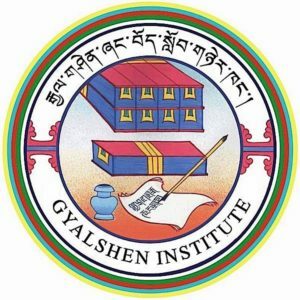 In 2011, I founded Gyalshen Institute in San Francisco Bay Area. Chaphur Rinpoche: Bön is the indigenous religion of the ancient Tibetan people. Our tradition holds that it was founded over 10,000 years ago by Buddha Tonpa Shenrab in Zhang Zhung, a kingdom later absorbed into Tibet during the eighth century C.E. When he first came to the Tibetan region, Tonpa Shenrab brought with him basic Yungdrung Bön teachings, divination, astrology, rituals and medicine that are still observed to this day. Most of the original Bön texts were translated into Tibetan from the Zhang Zhung language. 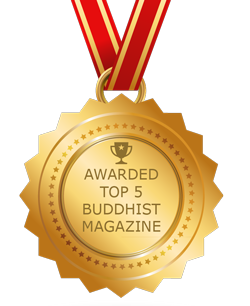 Bon’s founder, Buddha Tonpa Shenrab. Tonpa Shenrab was born in a palace in the pure realm of Olmo Lung Ring, the birthplace of all enlightened beings. He became a monk at the age of thirty-one, renouncing the material world and cyclic existence. Through his great deeds and offerings to the Enlightened Ones of the Ten Directions, Buddha Tonpa Shenrab was blessed as the six robes and five objects of a monk descended upon him. Thus, he instituted the Bön monks’ rules and practices which are still in observance today. 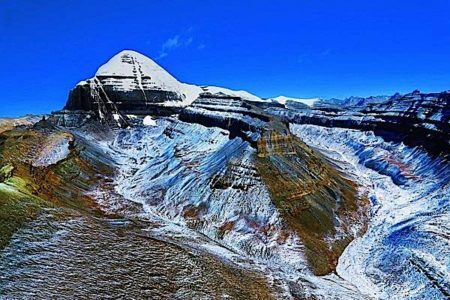 When Tonpa Shenrab came to Tibet which, according to the well known 20th century Buddhist scholar Gedun Chophel, was at that time called Bön. He blessed Tibet and its people, sharing many teachings, ceremonies and religious dances that are distinctly Bön in origin. The most important change he introduced was to eliminate animal sacrifices. At that time, the local practice was to sacrifice animals in order to appease spirits responsible for causing sickness and misfortune. Tonpa Shenrab taught them they could offer red torma and white torma in place of animals. 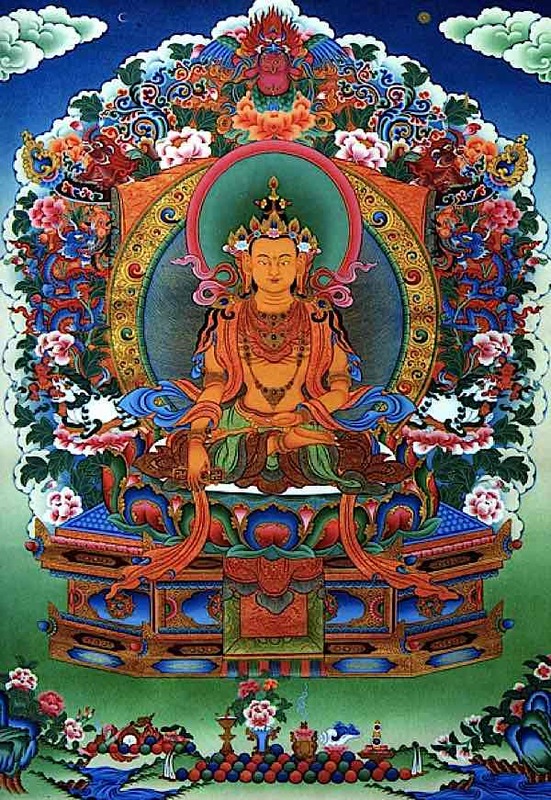 In this way, Tonpa Shenrab established the peaceful enlightened Yungdrung Bön tradition. In the ensuing centuries, the word Bön as a geographical term became Bod, then Bote. When Bote was translated into English, it became Tibet. 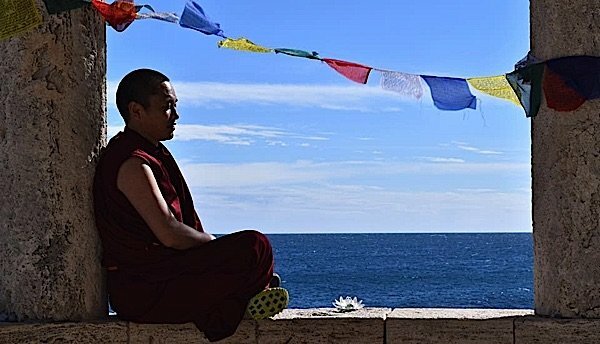 Chaphur Rinpoche: In my opinion, many Bönpo practices and meditations are unique, most especially the Bön Five Element practice. In Bön tradition, all the universe is made up of five elements. In fact, our body is composed of five elements (earth, water, fire, wind and space). These five are expressed within us through the interconnection of flesh, blood, heat, breath, and consciousness. They are connected to the five organs: liver, kidneys, spleen, lungs and heart. Those organs are in turn, connected to the five poisons; attachment, jealousy, ignorance, pride, and anger. Chaphur Rinpoche out with the elements — wind sky and water. The five poisons can in turn be transformed into the five wisdoms: emptiness, mirror-like wisdom, wisdom of equality, discriminating wisdom, and all-accomplishing wisdom. The transformation of the five poisons into the five wisdoms is the basis of spiritual practice. Each element also has its own corresponding spiritual deity. All sentient beings are connected with their inner, their outer (environmental), as well as the natural form of each element. In this way, Bön developed distinctly, I believe. 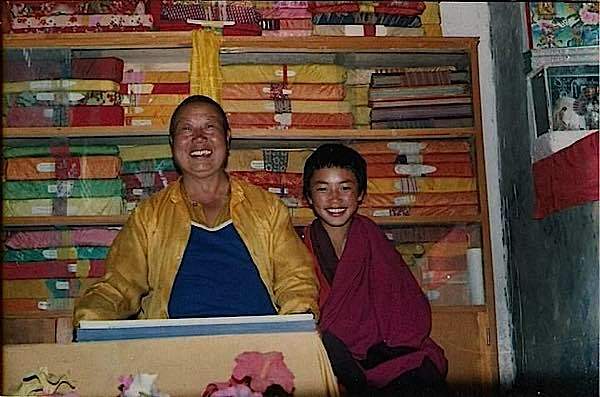 Chaphur Rinpoche as a boy beside his teacher H.E. 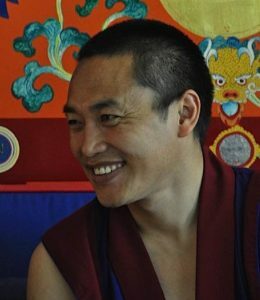 Bongya Rinpoche. 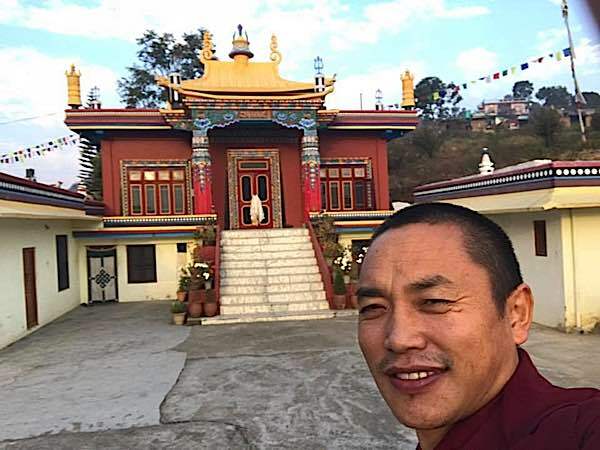 Chaphur Rinpoche: Like Nyingma, the oldest school of Indian-based Buddhism in Tibet, the Bön lineage has Nine Ways (Yana), culminating in Sutra (Dho); the Path of Renunciation; Tantra (Ngak), the Path of Transformation; and Dzogchen, the Path of Liberation. These were taught by Buddha Tonpa Shenrab in the kingdom of Zhang Zhung. 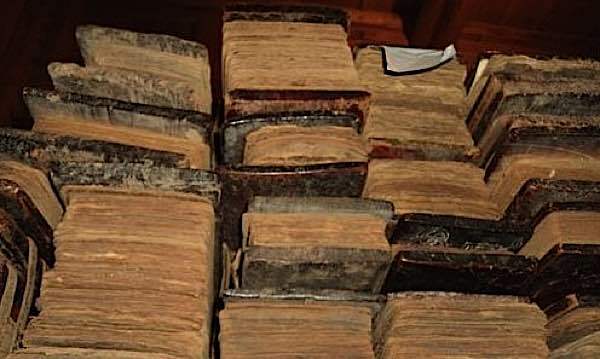 Buddha Tonpa Shenrab’s instructions are all preserved within 177 volumes in the Bön Canon. There are 177 volumes in the Bön Canon. The view, meditation, and practice of Dzogchen are similar in Bön and Nyingma, while the Sutra view, meditation and practice are most similar in Bön, Sakya and Gelugpa teachings. But the traditions were transmitted through different lineage masters; Bön originated with Buddha Tonpa Shenrab. According to Yungdrung Bön teaching, if we are going to do Dzogchen practice, we must first do Ngöndro, or preliminary practices, which include Guru Yoga, Refuge, Bodhichitta, Confession, Mandala, and the Three Heart Mantra recitations, 100,000 times each. Also, there are many Chö (also sometimes written as Chöd) practices. In Yungdrung Bön, these can be either peaceful, enriching, powerful or wrathful practices. The Khadro Sang Chö, or The Secret Chö of the Khadro, is part of the powerful classification of Chö practices. Through devotion, diligence in our practice, and the blessings of the khadro, we can obtain the external, internal and secret benefits of Chö practice such as removing obstacles, illness and danger, cutting the emotional affliction of attachment, and gaining an absolute confidence in the vast and open view. Chaphur Rinpoche: Karma means actions of consciousness, or actions of our mind. We cannot say when the conscious stream of our mind actually started. As Buddha Tonpa Shenrab said in Tibetan, “Khorwa Thokma Mepa Ne,” or beginningless samsara. In the Bön tradition, when our physical body dies, our karmic consciousness does not end, but continues on through the Bardo, or intermediate state, to the next life. The physical body is changed, but the inner consciousness is continually reborn. This life is the result of our previous life, and our future lives are dependent on this very moment, in this present life. That is why we believe meditation and practice will bring good results in the future. These are the Bön beliefs on rebirth and karma. 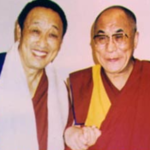 Chaphur Rinpoche: I teach mainly at Gyalshen Institute in California. I also travel to many different countries to teach and help people worldwide. 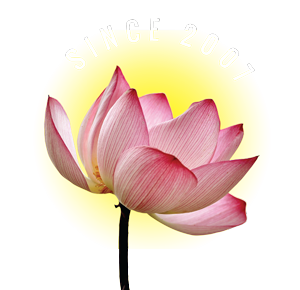 Bön practitioners are increasing in number more and more around the world. In ancient times, many people didn’t really understand what Bön was. Unfortunately, many misunderstandings were repeated from bad information over time, often due to political or other worldly interests that had nothing to do with actual spiritual practices in Bön. In modern times there is an increased understanding in people, a greater openness of the mind, across the world. More and more, practitioners with this increased awakening are seeking out the ancient and powerful teachings of Buddha Tonpa Shenrab. Chaphur Rinpoche: Gyalshen Institute’s mission is to preserve the culture and traditions of Zhang Zhung and Tibet. Teachings at the center include a variety of retreats and classes on meditation and practice following the Bön tradition. The Tibetan Translator program offers Tibetan language courses. I have also established Gyalshen Publications to facilitate the translation and publishing of important Bön texts from the volumes of the Bön Canon. Future plans for Gyalshen Institute involve establishing the Gyalshen Retreat Center. Plans for the center include a teaching complex for short and long term individual and group retreats, a library for the translation and study of sacred Bön texts, a fine arts studio and a long-term residential housing community for Bön practitioners. 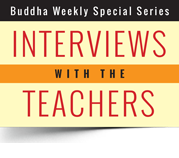 Chaphur Rinpoche: I think the student-teacher relationship is similar to that found in all Buddhist traditions. In Bön, the relationship between student and teacher is a very special one. Both teacher and student must be of the right mind and must have a karmic connection. The relationship of the student and teacher cannot be one that is forced or developed. If one has that karma, the connection between the teacher and student will happen spontaneously. Although, that is not to say it is a relationship without effort. Dharma practice is difficult and requires much diligence and dedication. Once realized, the relationship of student and teacher is one which never dissolves, never ceases. It is a true heart to heart connection, the most important aspect of this connection being trust. Without the development of trust, there is no connection. The student-teacher relationship cannot be viewed in terms of something to be proven or some sort of reward to be attained. Just as in practice, the relationship between student and teacher is empty, and should not be contemplated with too much desire-attachment, or over-thinking of the mind. I have written two books in Tibetan. One, a poetry book and one on Tibet and Zhang Zhung history. Currently I am preparing a new book in English, “The Path of Finding Yourself”. I am hoping it will be published in the near future.